Showjumper Lily Tootill and eventer Nick Brooks are happily and safely at their new bases in the UK, with Samantha Lissington also set to pack her bags. Nick, a member of the Eventing High Performance Potential Squad, and For Fame, his 11-year-old gelding who placed fourth at the CCI4*-S at the Land Rover Horse of the Year Show, are based at the relatively new family-owned operation Lancer Stud in Suffolk. Nick is in the UK on a two-year visa but has no qualms extending the time if all goes well. 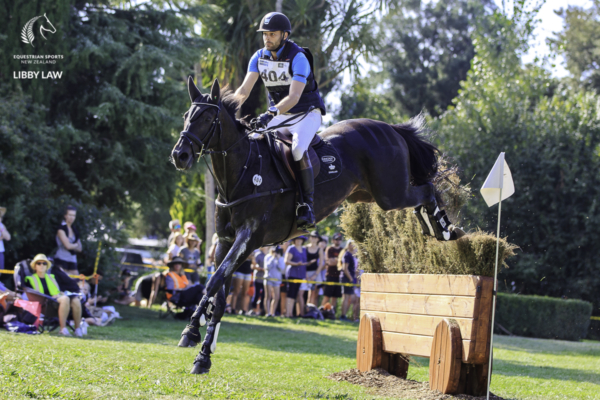 While he only has For Fame with him at the moment, he would dearly love to have 11-year-old Versace C, who has done both World Cup showjumping and evented to CIC2* level. Versace C is by Voltaire II, out of Coco C (who is by Cantago II) while For Fame is by For Edition and out of Craighaven Tarmac (who is by Waingata). Both are New Zealand sport horses and owned by Nick. Lily, a member of the Jumping High Performance Futures Squad, and Ulysses NZPH, who won the Olympic Cup in 2017, have arrived at their new base, at IN Show Jumpers at Henley on Thames. The business prides itself in identifying “exceptional” young showjumping horses with talent, scope and the ability to be successful at the top of the sport after training and development by experienced riders and trainers. Eleven-year-old Ulysses NZPH, who is by Cabdulla Du Tillard, out of Quiet Time NZPH (by Twist Kerllec) is co-owned by Lily and Theresa Gattung, has arrived “fresh as a daisy from day one” after his long trip from New Zealand to the UK. She would love to compete for New Zealand but says she is realistic about the difference in the level of competition between the two hemispheres. “I know I have a long way to go before I am ready for that level.” Their first outing will be next month at Sentower Park CSI2* in Opglabbeek in Belgium. Eventer Samantha Lissington is making her preparations to head to the UK where she will be based in Cheltenham, Gloucestershire, with Ginny Thompson at Blyth Tait’s old yard. She and husband Brayden also have two year visas with the focus on having an adventure, great experience and learn as much as possible. “Tokyo would be a bonus,” says the 28-year-old. 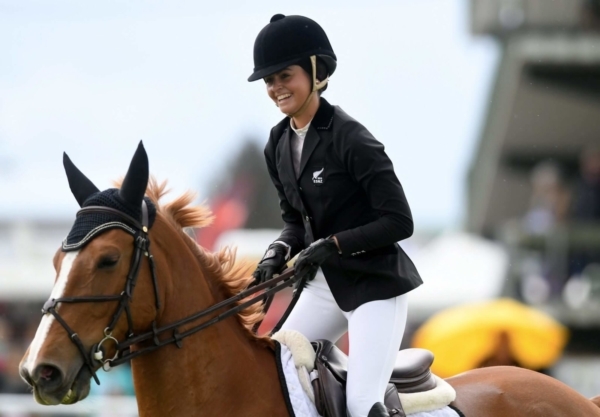 She plans to take eight-year-old Ricker Ridge Sooty GNZ, on whom she won the CCI3*-S at the Land Rover Horse of the Year Show this year. The gelding, by Caretino, out of Quantum Flash (by Tristaking) is co-owned by Samantha and Pip McCarroll. 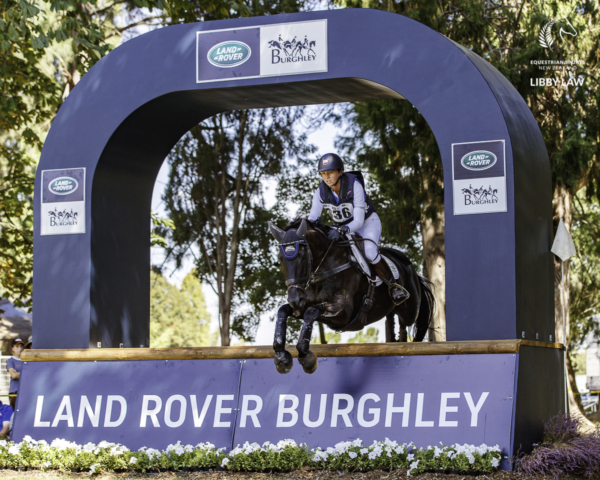 This month Samantha, a member of the Eventing High Performance Potential Squad, won the CCI4*-S at the Kihikihi International Horse Trial aboard Ricker Ridge Rui. There are a handful of other riders also contemplating heading to Europe to base to further their experience.